More common in some countries than others (Saudi anyone?) is when an employer holds a teacher's documents hostage. Some say that it’s to protect the teacher since their documents are in safe keeping. Others say it’s to protect the school since if they have your documents you can’t pull a runner. Whatever the case, more often than not it is illegal. This is especially this case when it’s your passport. Passports are government property. Schools have to right to hold them. If a school wants documentation tell them you will give them a notarised copy. If you still have trouble, tell your school that you have to report them to your embassy. If that doesn’t make them give you your passport back then make good on your threat. 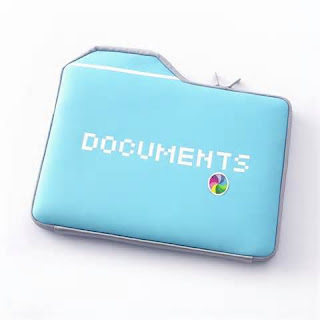 Other documents that they typically hold are your diplomas and certificates. Some places do need these at the beginning when your visa is being processed. They are just verifying that they are true and may have to show them at the immigration office. You usually get them back after the visa process is fined and you have your resident card. Other places aren’t too nice. Sure, they’ll tell you that you’ll get your documents back as soon as your paperwork is processed, but then they’ll refuse to give them to you. They’ll state it’s their policy to keep teachers documents until they leave the school. This is dishonest (since they said they’ll give them back) and deceptive (since they knew you’d agree to hand them over if they promised to give them back). If this happens, pull the illegal card and say they have no right to have your documents. They are yours, not theirs. If that doesn’t work, say that you will report them to your embassy. In all honesty, the embassy probably won’t be able to help you, but the threat alone may be enough to get your documents back. If that doesn’t work call every place you know who may be able to help: the Labour Office, foreigner offices, or immigration. Another idea is to get the press involved. Tell them that you will call the newspapers and let them know what they’re doing. Getting other people involved is usually the extreme. More often than not threats of getting people involved are all that’s need. However, if push comes to shove and you need your docs back, do everything you can do get them. However, you have to realise that once you have them back you might not have a job anymore though. You will have to make a choice and choose what’s more important to you. The lesson to be learnt is that you shouldn’t hand over originals. If they want originals, bring the originals and copies of the originals. If they won’t accept your copies, have them make their own copies, with you standing over the copy machine. If that’s not good enough, give them notarised copies of originals. If they say that they need the originals say that you cannot give them your original documents. Say that you will go to immigration with them and present your documents. If they keep asking for your originals, then you have to choose whether to hand them over or not. Copies seem to work in most situations. Always keep in mind that whenever you hand your original documents over you run the risk of not getting them back or getting them back in poor condition, such as folded, stamped, ripped, or written on. If you're going to teach overseas, it's worth researching what you're getting yourself into. There's a lot of fun and excitement, but there are also issues that you need to know about. Here are some good resources for anyone looking at teaching English abroad.